The Santorini Biennale announces a call for artists for Neighbourhood. 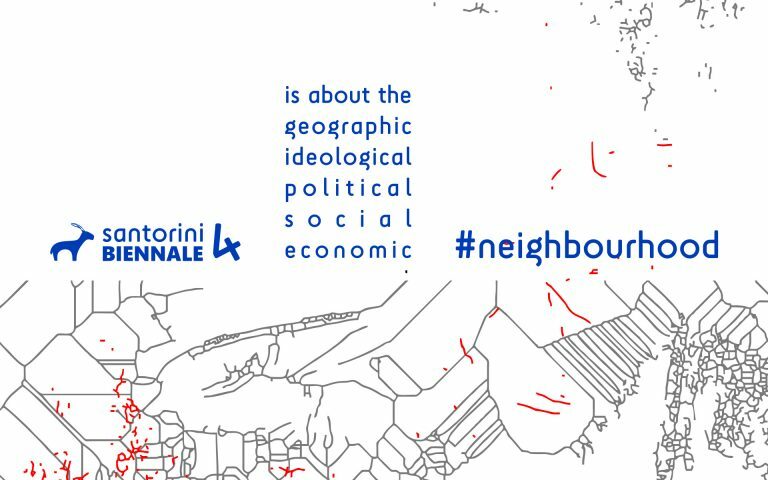 Neighbourhoods are simultaneously geographic and ideological biotopes, political, social and economic spaces. They are common places without impermeability as different societies and cultures need to interact between them, especially when they are called to solve common problems such as climate change, environmental pollution, urbanization, social inequalities, intolerance, criminality, terrorism, sub-birth or population explosion, economic exploitation, production of poverty, and immigration. Modern diplomacy seems to run a marathon of sovereignty and enforcement rather than a process of normalization of relations between different neighbourhoods, thus interrupting cultural exchange and contributing to the creation of closed and fearful ideological societies around the world. Santorini Biennale exhibits in 27 cities around the world: Santorini, Beirut, Dubai, Kuala Lumpur, Shanghai, Tokyo, Los Angeles, Detroit, Montreal, Atlanta, Mexico City, Rio de Janeiro, Buenos Aires, Cape Town, Nairobi, Dakar, Rabat, Algiers, Tunis, Madrid, Paris, Amsterdam, Venice, Berlin, Helsinki, Belgrade, and Izmir. 200 university papers related to the artistic theme of Neighbourhood. All exhibitions will be organized by art curators and supported by local authorities. Every exhibition will run for almost four weeks including all parallel event programs. Each artist or group of artists can participate in up to two exhibitions during the exhibition period (from 01 June 2019 to 31 July 2021) and in the cities chosen during submission process or those suggested by the curators. Venues are spaces of about 500m2 to 1000m2 and have all required exhibition facilities. The complete list of venues and the exhibitions program will be announced by the end of April 2019. The Santorini Biennale is the idea of artist, designer, and economist Kyriakos Papadopoulos. It is supported significantly by many Santorinian and foreign entities. The idea for a meeting of artists from around the world in Santorini was born in 2001, when he first began to carefully observe the richness of this dramatic island and became true on 2012. Santorini Biennale’s mission is to promote artists that are working on the borders between different art disciples, allowing them to surpass the traditional, and perhaps limiting, concepts of classicism, modernism, contemporary, and applied arts. For more information, contact info@santorinibiennale.com. The Skopelos Foundation for the Arts is looking for adventurous artists that want to immerse themselves in and create from the Greek culture. They offer Skopelos Greek island artist residencies in ceramics, painting, printmaking, and sculpting from March through December. Skopelos is a unique island with the contrast of light and color. 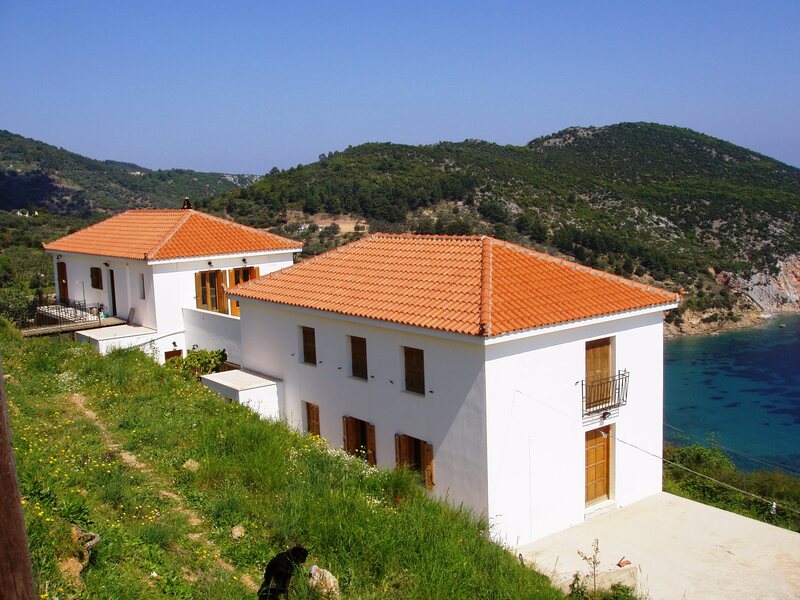 It is the greenest island located in the Northern Sporades. The locals add to the extraordinary flavor of the island. The Foundation is set up to offer artist’s residencies from March through December. The Foundation requires a minimum of a two week stay and all applications are approved by the Board of Directors. The artists that have worked at the studio range from newly graduated to mid-career. The Board of Directors looks at a range of things including ability to be independent, the project is not something that the artists would normally do, and it pertains to the culture in some way (it could be color, light, history, mythology, natural surroundings, and so forth.). In 2000, a traditional Greek kiln was built on the Foundation property, so that people could experience ceramics the way the Greeks had done it for centuries. The ceramics area is open raw space with a gorgeous view of the neighboring island, Alonnisos. There is an electric kiln and wheel on site and a wood-burning kiln. The Foundation is affiliated with Nikos Rodios, who is a world renowned potter. He is known for his patented firing technique that creates a beautiful onyx which he applies to his work modeled after ancient utilitarian pieces. The printmaking facilities overlook the Aegean Sea, with lots of windows so that the artists always see the light and the constantly changing colors of the water. The studio has state-of-the-art equipment so it can accommodate beginners to the most advanced. Skopelos is a place that takes the imagination beyond what one thinks is possible if you allow it. 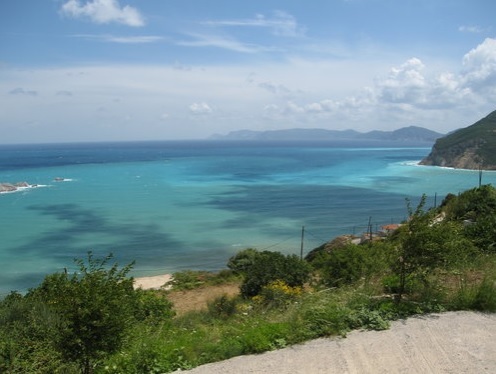 It is for the flexible adventurer that wants to create and be engulfed by the Greek culture. If you want to have an experience you will never forget come work on your own or with other artists at the Skopelos Greek island artist residencies. The Foundation has a Board of Directors which is made up of business people, artists, and university professors from Washington, DC, Chicago, and New York. 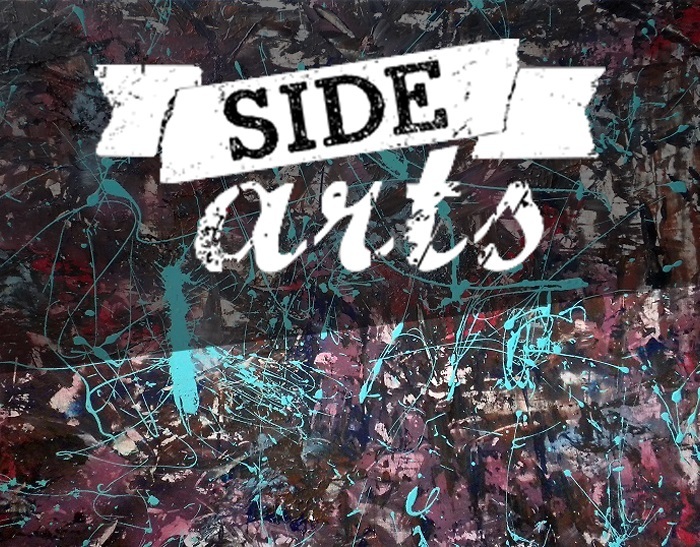 It is affiliated with some of the top Universities including George Mason University, The Art Institute of Chicago, The Corcoran School of Art/GW, Pratt Institute, The University of Florida, and The University of Michigan School of Art + Design. Santorini Biennale 2016 invites artists to apply for the 3rd Biennial in Greece. For more information, contact info@santorinibiennale.gr. We invite international artists and researchers to submit proposals for a stay at ResidenceSEA. The studio is suitable for 1 or a small group. Artists/researchers can stay up to 4 weeks. We focus on art, science and technology, multimedia art, installation art, video art, sound art, and performance art. A representative portfolio of work produced in the past five years. Curriculum vitae with full names, references and website, addresses, and contact numbers. A brief letter of motivation, not more than one A4 page long, outlining reasons for wishing to join the program. Details of sources of funding. Preferred period of residency (date and year). ResidenceSEA – Sensing your Environment through Art – is offering a new Artist-in-Residence program (AIR), which supports the creation and presentation of critical dialogues between art and science and the heritage of contemporary art in Heraklion, the capital of Crete. This program brings artists and researchers from all over the world to Heraklion, to dive into a creative and collaborative process with the environment and the community. In this unique location, they have a platform to meet and learn, exchange ideas and work together. For more information, contact residencesea@maakali.org.